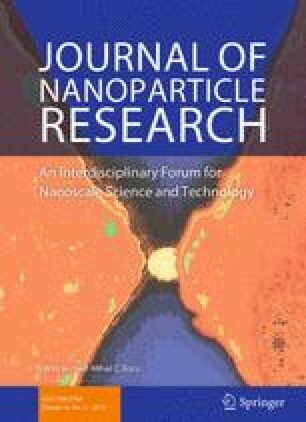 Exposures of the general population to manufactured nanoparticles (MNPs) are expected to keep rising due to increasing use of MNPs in common consumer products (PEN 2014). The present study focuses on characterizing ambient and indoor population exposures to silver MNPs (nAg). For situations where detailed, case-specific exposure-related data are not available, as in the present study, a novel tiered modeling system, Prioritization/Ranking of Toxic Exposures with GIS (geographic information system) Extension (PRoTEGE), has been developed: it employs a product life cycle analysis (LCA) approach coupled with basic human life stage analysis (LSA) to characterize potential exposures to chemicals of current and emerging concern. The PRoTEGE system has been implemented for ambient and indoor environments, utilizing available MNP production, usage, and properties databases, along with laboratory measurements of potential personal exposures from consumer spray products containing nAg. Modeling of environmental and microenvironmental levels of MNPs employs probabilistic material flow analysis combined with product LCA to account for releases during manufacturing, transport, usage, disposal, etc. Human exposure and dose characterization further employ screening microenvironmental modeling and intake fraction methods combined with LSA for potentially exposed populations, to assess differences associated with gender, age, and demographics. Population distributions of intakes, estimated using the PRoTEGE framework, are consistent with published individual-based intake estimates, demonstrating that PRoTEGE is capable of capturing realistic exposure scenarios for the US population. Distributions of intakes are also used to calculate biologically relevant population distributions of uptakes and target tissue doses through human airway dosimetry modeling that takes into account product MNP size distributions and age-relevant physiological parameters. Support for this work has been primarily provided by the United States Environmental Protection Agency (US EPA) (Grant# 83469302) and United Kingdom Natural Environment Research Council (UK NERC) (Grant# NE/H012893), Risk Assessment for Manufactured Nanoparticles Used in Consumer Products (RAMNUC) project, and by the National Institute of Environmental Health Sciences (NIEHS) funded RESAC Center (Respiratory Effects of Silver and Carbon Nanomaterials—Grant Number U19ES019536-01). Additional support has been provided by the NIEHS sponsored Center for Environmental Exposures and Disease (CEED—Grant Number NIEHS P30E5S005022) at the Environmental and Occupational Health Sciences Institute (EOHSI). This work has not been reviewed by and does not necessarily represent the opinions of the funding agencies. The authors acknowledge assistance from Ms. Linda Everett of EOHSI with editing and proof-reading the manuscript and help in preparing the figures.